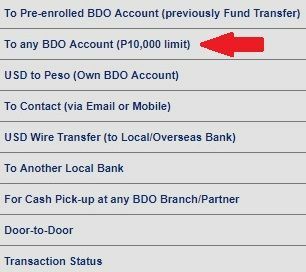 Can I transfer money from my BDO account to an unenrolled BDO account? You must have your registered mobile phone with you because OTP will be required. 1. Log in to BDO online banking. 4. Choose your Account No. Check “Save as New Template”. BDO will remember the account number of your recipient. i-check mo yong “Choose One” sa “Template” under “My Templates”. Or better yet, i-enroll mo na lang itong account na ito. Go to “Enrollment”. 6. Enter the One-Time Password sent to your registered mobile number. 7. If the transfer is successful, the money is immediately credited to your receiver’s BDO account. 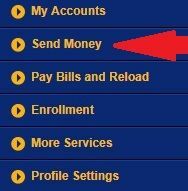 The sent money is immediately available. Your receiver can withdraw or use the money immediately. Is there a service fee to use this Send-Money-to-Any BDO-account service? BDO says it might charge for this service in the near future. Is there a maximum limit to the amount of money that can be transferred? The maximum amount is 10,000 pesos per day. Can I use this service for sending money to and from a BDO dollar account? No. Not yet. Currently, this is only for peso accounts. 1. Login to your BDO Mobile Banking app. 8. Go to a BDO atm and activate your enrollment. Is there no way to transfer 60k money to other BDO account? Hello, the maximum amount per transfer is 10K? I need to pay 20K to seller. Can I send 2 times 10K to the 1 account number in the same day? Deposit to Kabayan while in Dubai: You need to go to a BDO remittance partner and remit or send your money to your account. Here's a list of BDO remittance partners in Dubai. I-update ko yong list. Can I enroll a BDO account that wasn't for me, the account is for my cousin. The story is, I do repairing for my house now and I delegate the responsibility to my cousins to takes care of everything. I wanted to send him the money for the all construction expenses. Looking forward to hear you soon.Thank you so much. Yes, you can enroll your cousin's BDO account. Your problem, if you're currently abroad, is that you need to activate your enrollment at a BDO ATM in the Philippines. To enroll: Login, click Enrollment Services then Other Person's Account, Enroll, Fill up form and Submit. Activate your enrollment at a BDO ATM. You can start transferring after about 2 hours.